Good morning, friends! 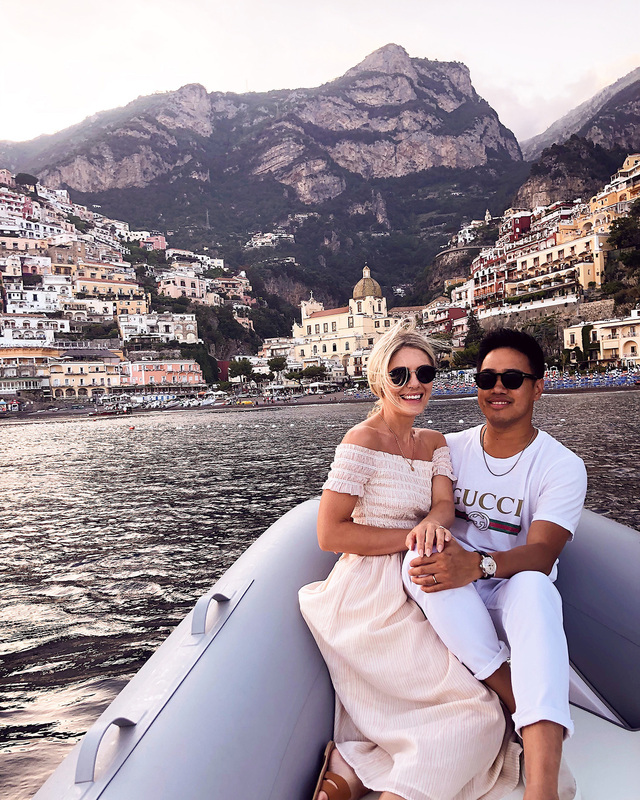 It’s always a fun day when we get to share an adventurous honeymoon here on GWS. 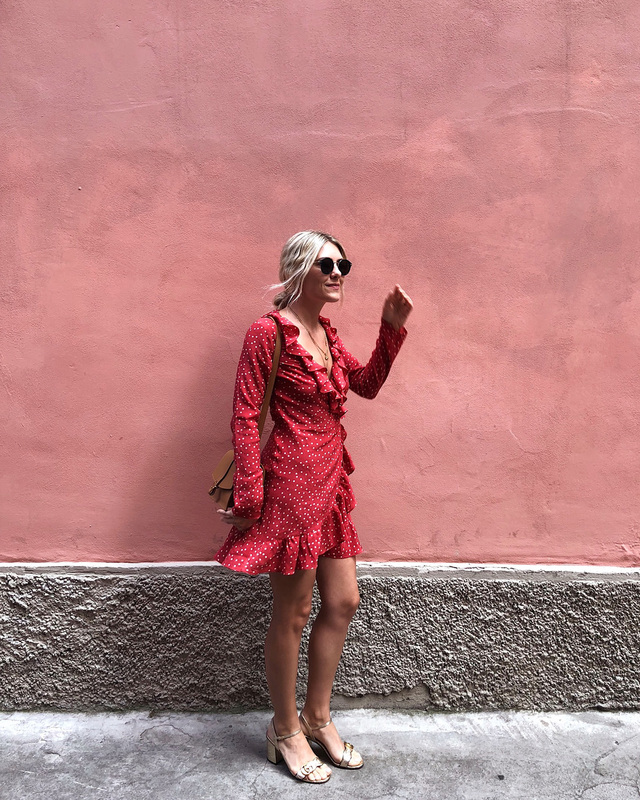 Today’s wanderlust fuel is coming to us from the fashionable, Katie Dean. You might know her name from her eponymous jewelry brand. 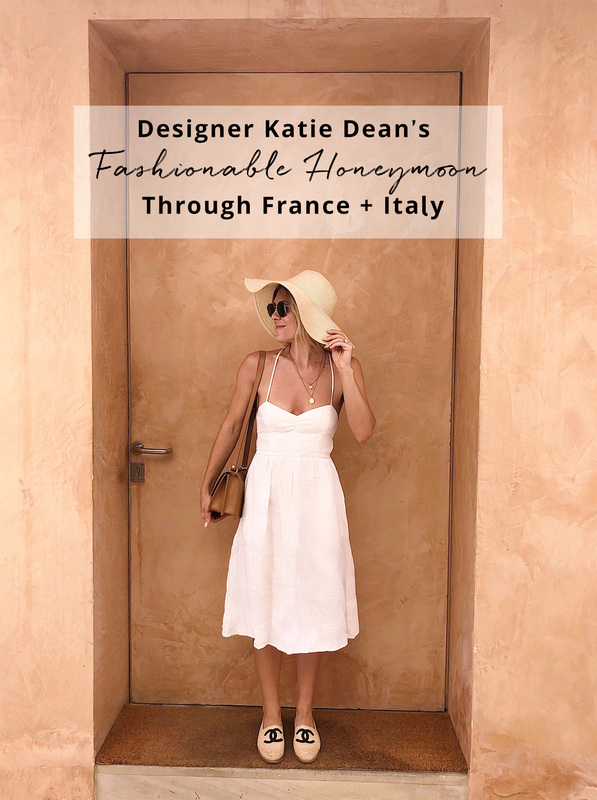 And, if you haven’t already guessed, being a jewelry designer makes Katie one stylish lady—always on the search for pretty vignettes and gorgeous aesthetics…which France + Italy provide in heaps and tons. 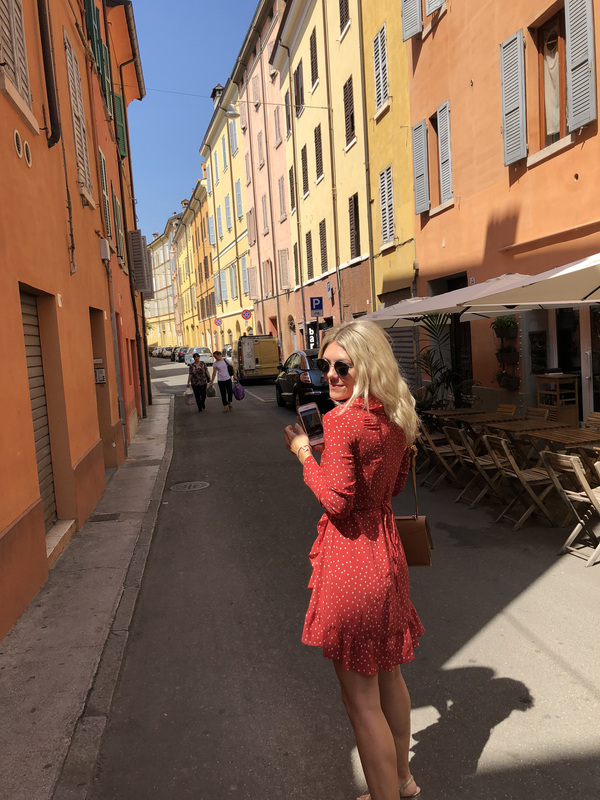 Meandering through the streets of Paris, down to the South of France, throughout the Amalfi Coast and other parts of Italy, she and her now-husband, Jon, are taking us for the full tour! Brimming with suggestions, gorgeous views, delicious bites and more, get ready to start planning your next holiday…or honeymoon! 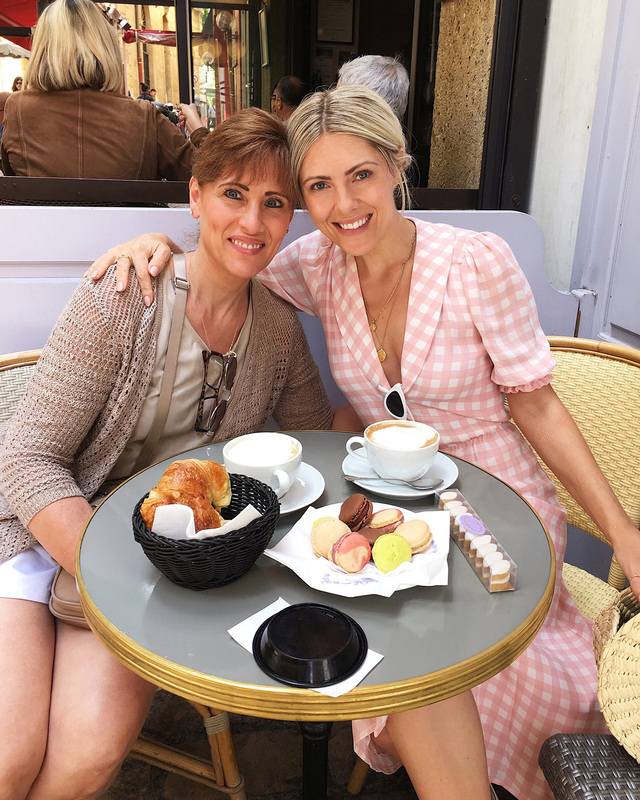 Katie shares: The main focus of our honeymoon was…eating. We pretty much planned our days based on the reservation we had booked! 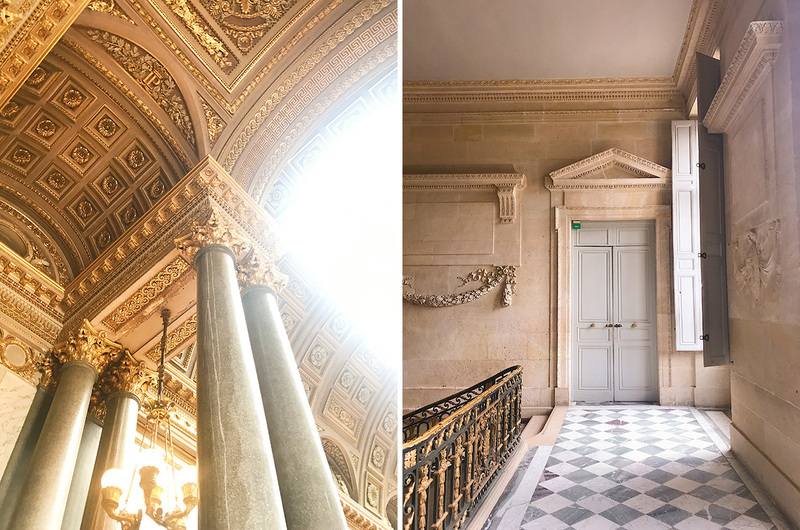 Both Jon and I had been to Europe before and visited a lot of the tourist attractions, so this trip was all about diving into the culture and eating lots and lots of delicious food. Katie’s Tip: Lattes are an American thing and if you ask for one in Europe you will most likely get a little warm milk mixed with a lot of espresso. It’s typically very strong and doesn’t compare to the latte you’re probably familiar with. This place was soooo cute. We went here a handful of times and I wish we had been able to go more! 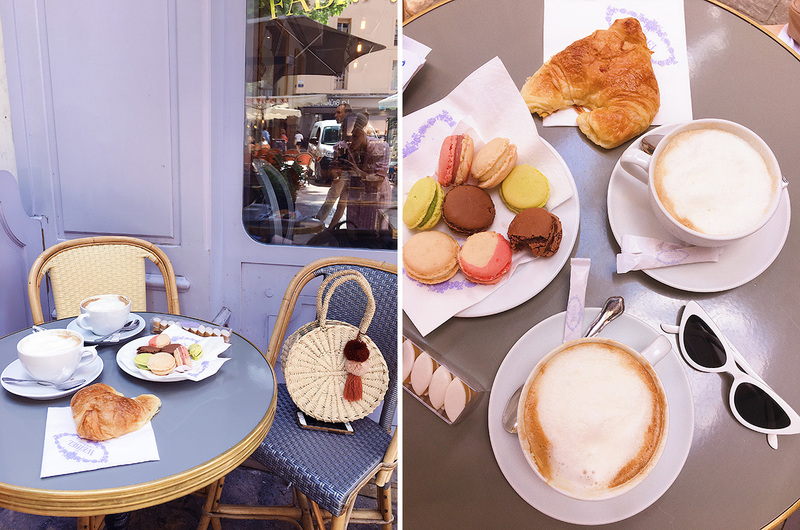 They have all of the classic French pastries and a tasty menu for breakfast, lunch and dinner. 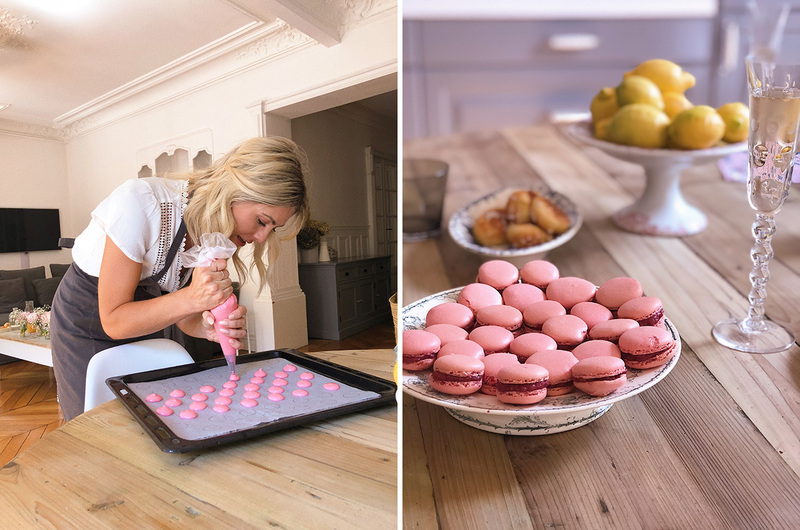 I loved their croissants, but I still prefer Ladurée for macarons. Oh! And it’s a perfect spot to people watch. Katie’s Tip: Do not order at the counter if you plan to sit outside at the cafe. It’s not like American cafes where you can order take away and then sit down to eat. They do full table service pretty much everywhere you go and their prices are different depending on if you take away or sit down. The waiters make a living from their job at these cafés and will not allow you to sit if you don’t order from them. No joke. I learned from experience! GWS Tip: This is true for all over France and Italy (and very possibly many other places in Europe) — locals tend to order coffee at the bar/counter, which in turn, is less expansive compared to sitting down and ordering at a table. Also, tipping is not necessary! Don’t feel badly about this, waiters are paid well and their wages are designed to not include tips. 1. Du Pain et Des Idees Bakery (BEST CROISSANTS OF MY LIFE): I’m going to be mad at you if you don’t go here. Seriously, I will take it personally. You have to go and get at least three if not five things. You can’t go wrong. Everything is SO GOOD and fresh. They melt in your mouth and they’re just heavenly. 2. Cafe Charlot: LOVED this place for dinner. 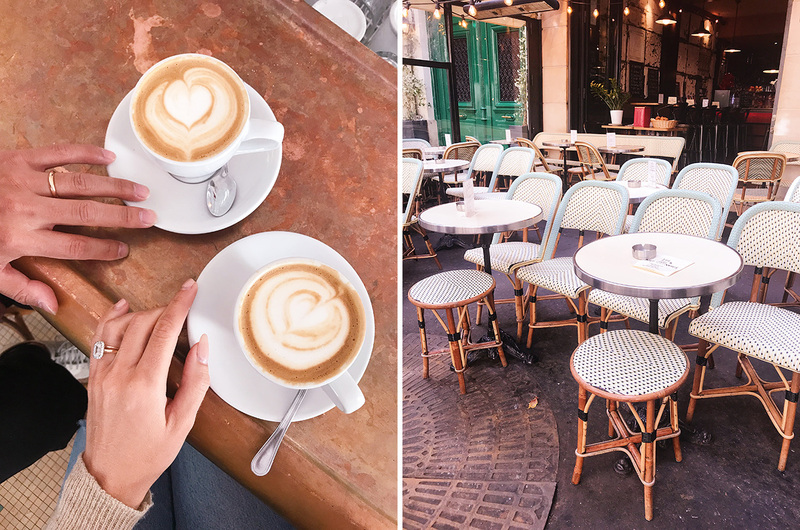 A Classic Parisian café with outdoor seating facing the street. I actually had an amazing latte here and delicious burger. More casual and not super expensive. Perfect for a night out with friends. 3. Chez Fernand: A very cozy spot on a super cute street. It was filled with locals, so that’s always a good sign. 4. Wild & the Moon: This is a healthy spot (all vegan and I think all gluten free) where you can get fresh juices and hot dishes to do a little detox from all the bread you’ve been eating. 5. Le Servan: We had the most yummy lunch here. It’s a modern spot that is newer to the scene in Paris and it’s climbing to the top of the food critics lists. Highly recommend grabbing lunch or dinner here but you have to make a reservation if you want a table otherwise you’ll be lucky to get a spot at the bar as a walk in! 6. 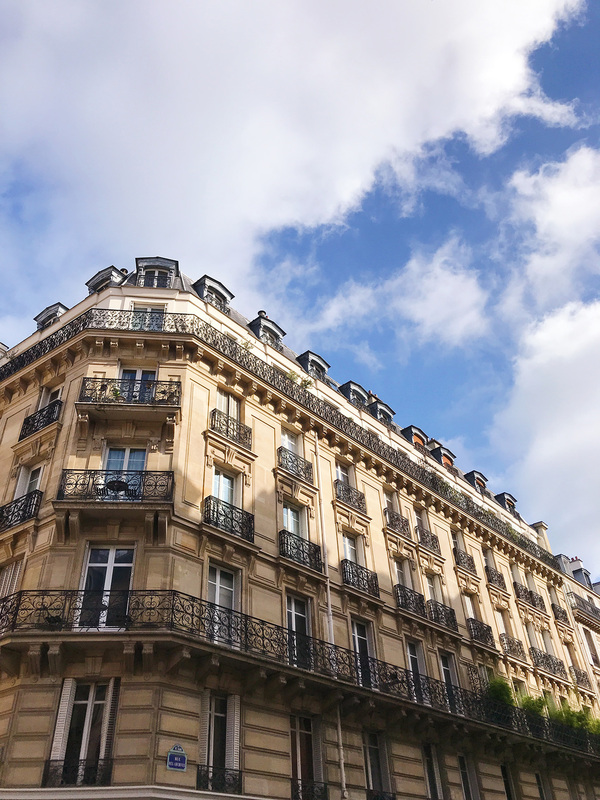 Fontaine de Mars: This place was classic Parisian style. A bit on the pricier side but full of flavor and worth a night out on the town. Fair warning there are a lot of tourists here so if you’re not into that, it’s probably not your jam. 7. Pink Mamma: We didn’t get to go here but heard it was great, especially the one in Pigalle in the 9th ARR. They have multiple locations but apparently this is the most beautiful one. 8. L’Avenue: This is another great place to people watch. Definitely sit outside. It’s in the high end fashion district so you can do some perusing through Dior and Saint Laurent after you dine. 10. Any and all crêpe stands — get a crêpe with Nutella and bananas. I only had two while I was there and honestly, I regret not having more. Some people get really into going to a particular spot but they’ve all been good to me. I’m not a crêpe snob. This was so much fun! Benedicte was our lovely teacher and the owner of The Parisian Kitchen. She was born and raised in Paris and is just the sweetest. 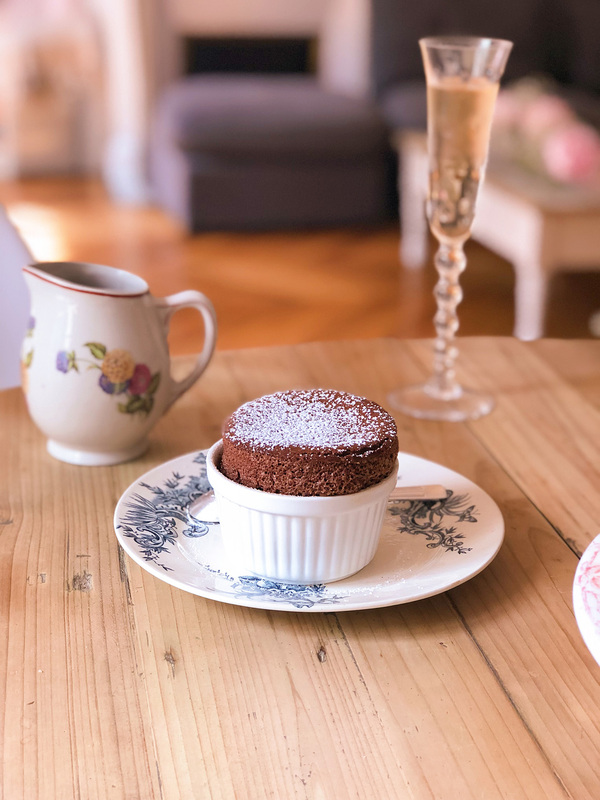 We made a chocolate soufflé and raspberry macarons. They were sooooo yummy. 1. Ob La Di: We went here almost every day. It’s tiny and cozy and the people are super nice. Our order: Oatmilk latte, the banana bread (best of my life), and avocado toast with a soft boiled egg to share. 2. 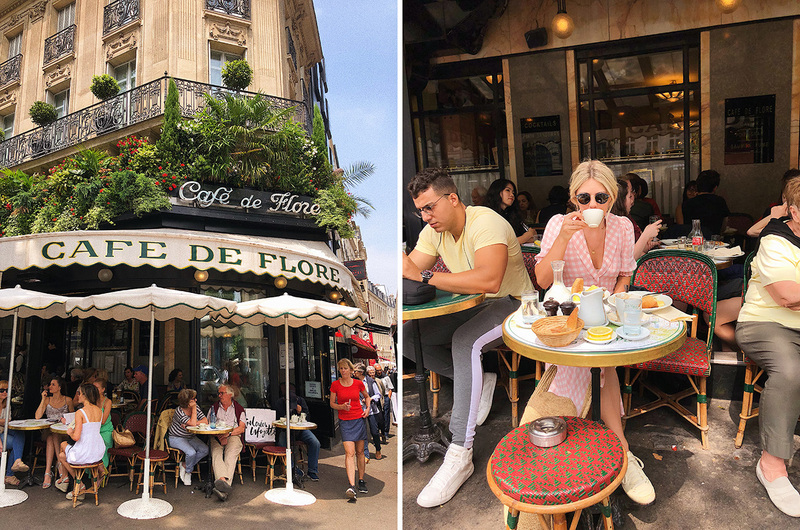 Cafe De Flore: Snag a seat outside and sit for hours while you people watch. This cafe is wildly busy so there may be a wait. I got the hot chocolate and an omelette, Jon got a cappuccino and an omelette. Everything was very, very yummy. 3. La Fontaine de Belleville: Yummy lattes and huge yummy brunch on the weekend. The fresh bread and butter was my favorite. 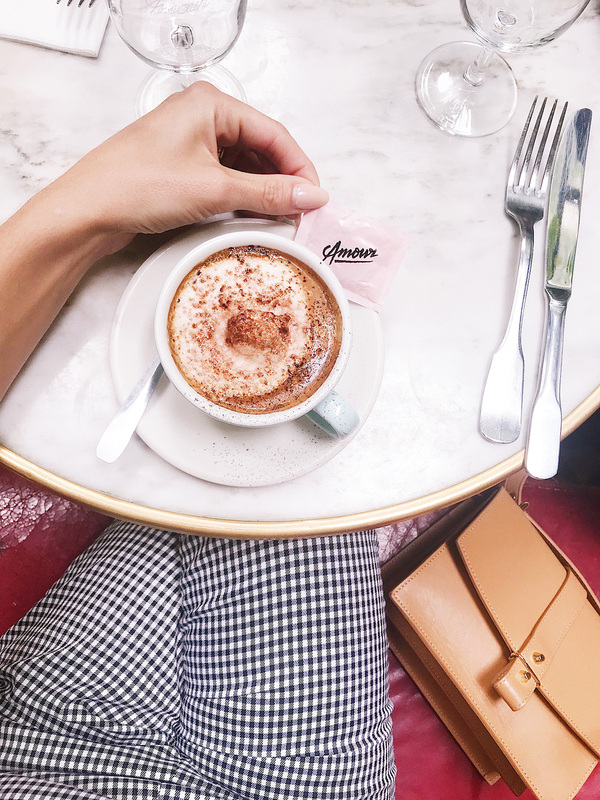 A note on how Parisians brunch: get ready to eat A LOT of food. Brunching is a serious business in France so order a la cart if you don’t have to have a five course meal. 4. Hotel Amour: This is where the cool kids go to hang out (or so we heard). Their coffee was really strong so it wasn’t really my thing but it was still a fun place to hang put at. Side note: they have an outdoor patio that is filled with plants. I saw a lot of people set up with their laptops so it looked like a good place to get some work done, too. 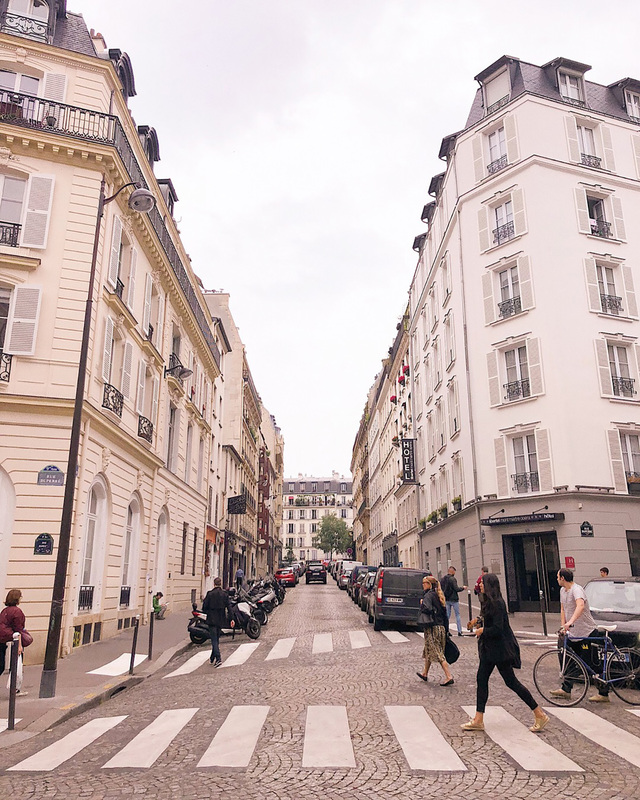 GWS Tip: Our editor, Chelsea, used to live down the street from Hotel Amour and she seconds Katie’s recommendation. It’s also a great spot to have a glass of wine (or two), before heading up to Montmartre and exploring Sacré-Cœur and the old artist haunts. Another fave: KB Café, just up the street from Hotel Amour on Rue des Martyrs. 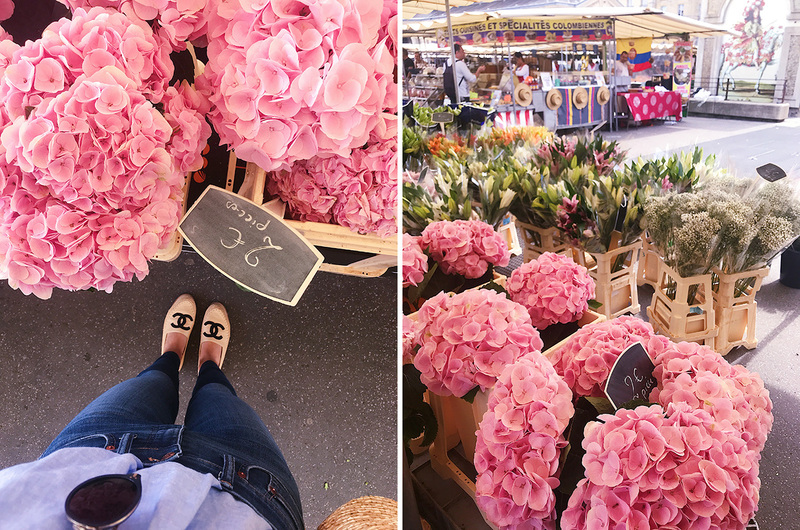 Pick up some macarons, delicious bites from a boulangerie, cheese from the market…and you might even find fresh fruit at a farmers’ market (they pop up randomly in some neighborhoods!). 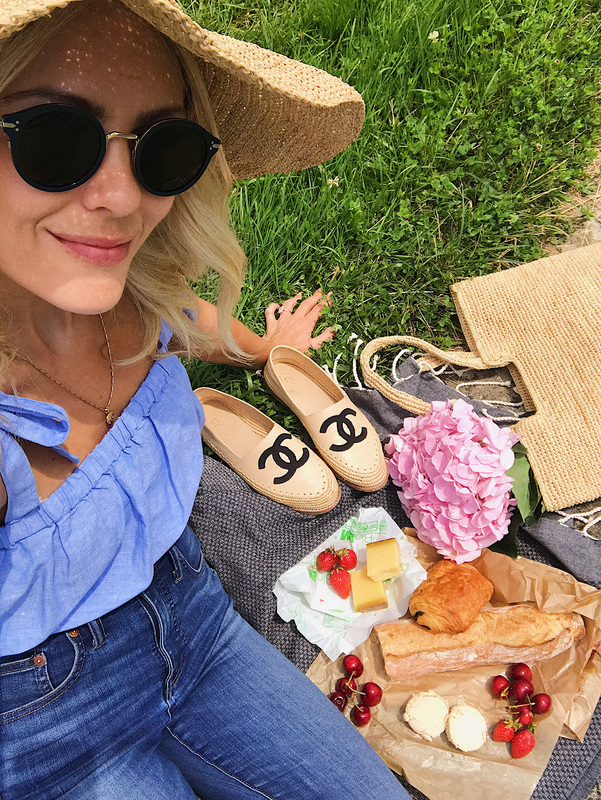 Et voilá, you have a picnic! 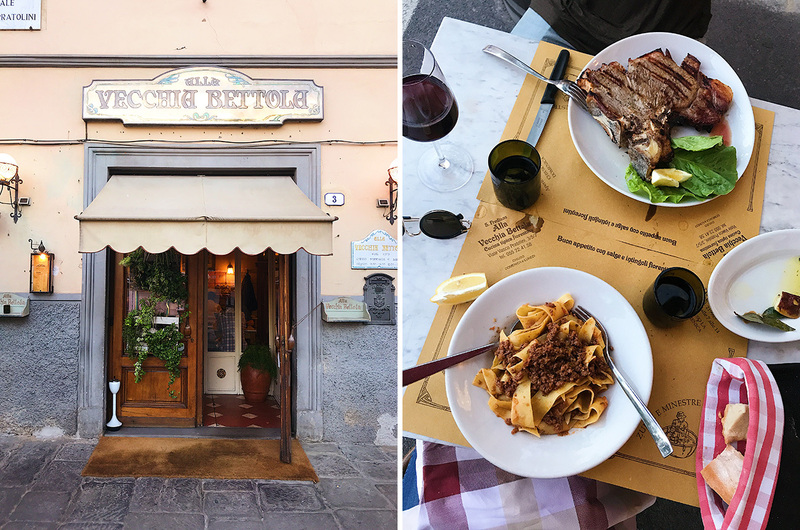 This is off the beaten path from the main part of Florence and nestled in a more residential area where the locals live. It’s about a 25-minute walk into the city center or a 10-minute ride on the train. Plus side of staying outside of the city center: a lot quieter and calmer. You’re basically renting a loft because the rooms are very spacious and it comes with a little kitchenette so you can buy food from the local market and come back and cook. Also, if you rented a car you don’t have to pay for parking which adds up so you don’t have that fee here! Downside: you have to walk or take the train into town. So, if you plan on doing everything in town it may be more efficient to stay in the city center. This spot is on the ‘other side of the river’ as locals say, but it’s worth the trek. It’s literally filled with locals and it’s absolutely delectable. Make a reservation because walk-ins can wait up to an hour or more. 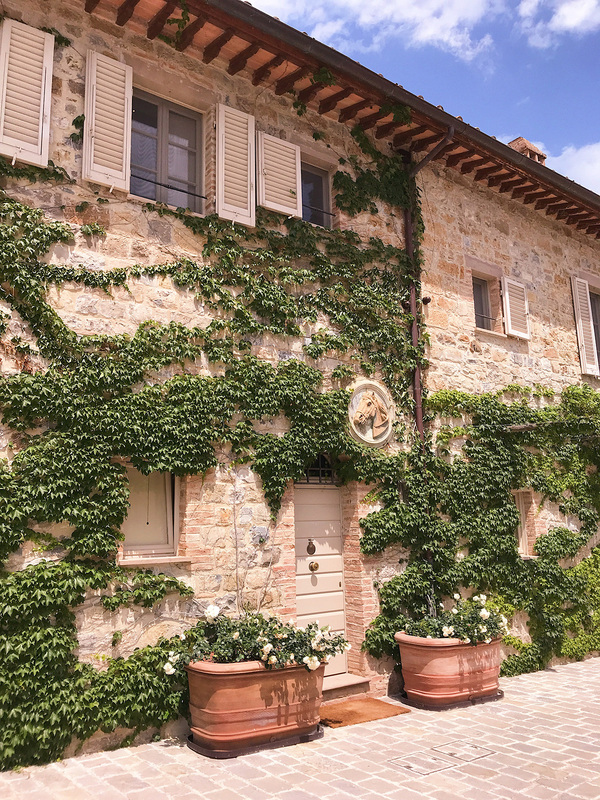 Both Modena and Siena are about a half hour drive from Florence, making these locations perfect for day trips! This reservation (which you have to book 3 months in advance, thanks to my husband for locking this in!) was the whole reason we took a day trip to Modena. It was #2 in the world when we went and was just named the #1 restaurant in the world a few weeks ago. I can say with confidence that it’s worth all the hype. The chef, Massimo Bottura, has created some of the most classic Italian dishes with a modern twist. We ordered a la carte and had a lot of pasta. It was impeccable! *Saturday Street Market: if you go to Modena on a Saturday make sure to allow time to check out the open street market. It’s full of local vendors selling everything from candy to olive oil to home goods. It’s fun even if you don’t buy anything. *My favorite place that we went to on our honeymoon!! 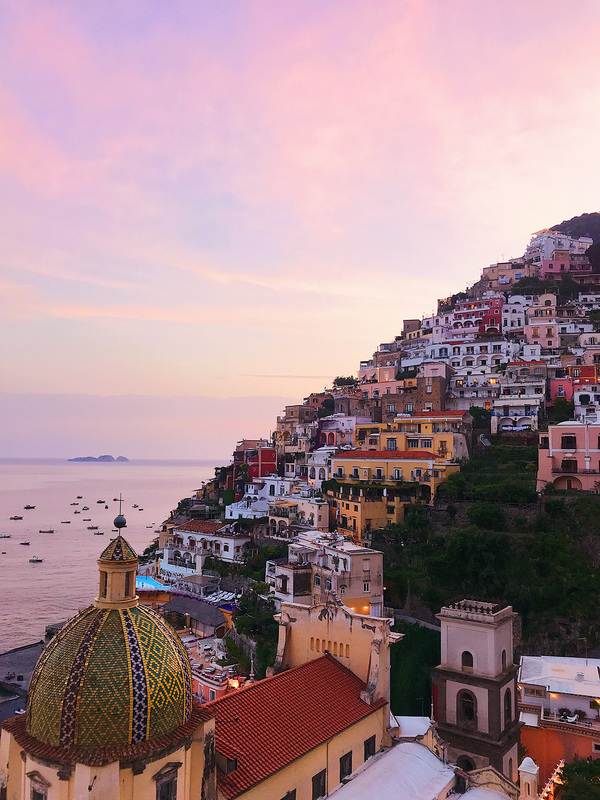 The most bustling part of the Amalfi is Positano. That’s where the majority of shops, restaurants and night life are. We opted to stay in the next town over, Praiano at Casa Angelina. It’s calming and beyond gorgeous. 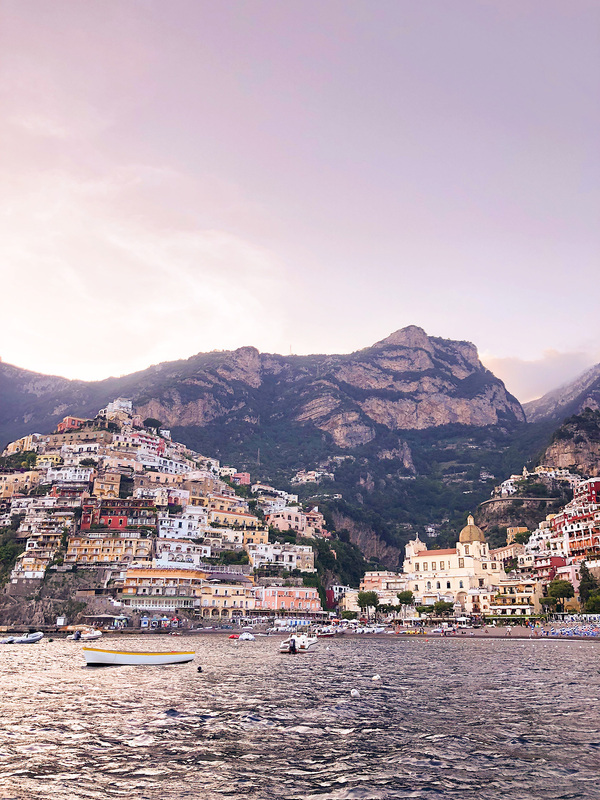 Positano is a short taxi ride away or a ten minute drive so you have the best of both worlds. Casa Angelina is by far the most amazing hotel I’ve ever stayed in. Their service is first class and the hotel is modern, impeccably clean and filled with art. 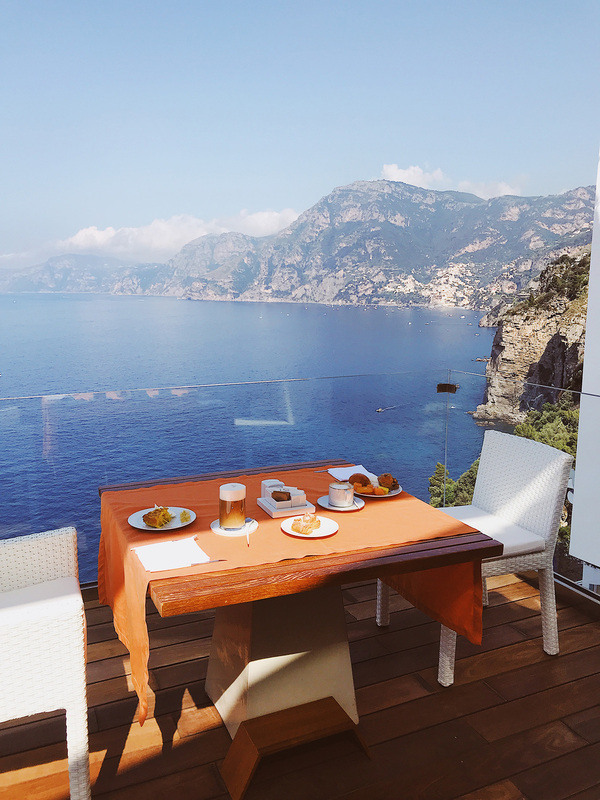 Included in your stay is a delicious breakfast spread with more options than you could ever consume in one meal along with a view of the Amalfi Coast that is unbeatable! 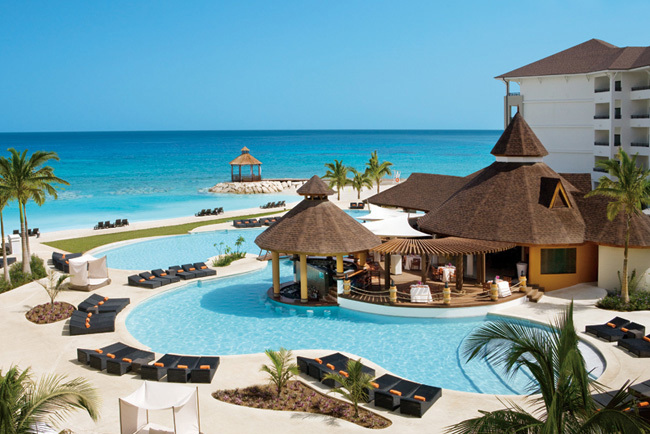 During our stay you could find me at their lemon tree-lined pool or at the beach club below the hotel, One Fire Beach. Le Sirenuse Hotel, Champagne & Oyster Bar: The views from their balcony are insane and the food is really yummy. This is a great spot to hit up before your dinner reservation or after. We watched the sunset from here and it was lovely. How darling are Katie + her husband?! Also, who else seriously wants to book a ticket to France or Italy now (or both)?! Thanks so much for sharing these tips + pics with us, Katie! 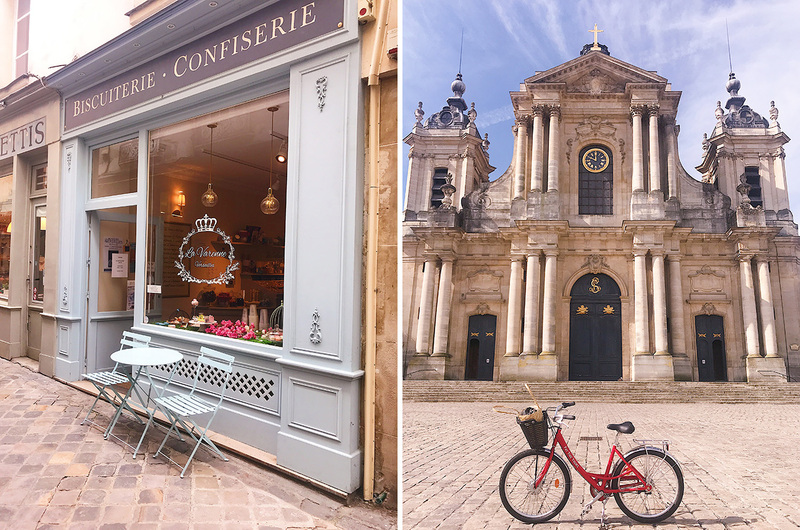 To view even more of Katie Dean’s guide, head over to her blog for more pics, places to stay, and things to eat along the way! Have any suggestions to add or places you’d recommend visiting along the way? Let us know in the comments below!